Magnificent sunsets, thousands of memorable moments, blue skies like no other, the history – all this and so much more describes Santorini. This Greek island in the Aegean Sea, is situated on the southern east tip of the Cyclades. 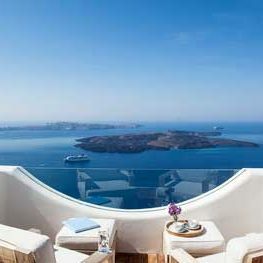 Today Santorini is one of the most popular island holiday destinations in the world. The characteristic architecture of the island are houses dug into the volcanic rock face, known as cave houses. The island is also scattered with neo classical mansions, some restored to their former glory. Traffic-free cobbled streets are the norm in the traditional villages with winding footpaths leading you to your next adventure. The island is littered with blue domed churches. During the period when Minoan Crete became a maritime empire, Cretans came to settle on the island and intermarried with the locals. Evidence from the Akrotiri excavations show that this civilization was abruptly terminated at its peak, with the massive volcano eruption of 1550- 1500 BC. By some means they were forewarned about the impending calamity, most probably with the earthquake which proceeded the eruption by one year, it appears that they left and did not return, since Akrotiri has yielded no jewellery, official seals or human remains. Akrotiri has been described as a “Bronze Aged Pompeii”. 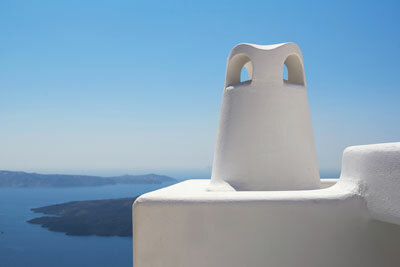 Santorini is easy to explore, and we are on hand to help you choose from a variety excursions around the island. 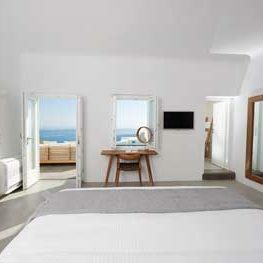 Located just up the coast from Fira, Imerovigli is built high on the rocks overlooking the Caldera. Being centrally situated allows you easy access to numerous sights, sounds & activities on offer. Get in touch with nature in a very peaceful setting & enjoy the gorgeous views too. We will guide you to three of our favourite island treks. Keen to be a bit sportier? Allow us to arrange cycling, hiking, canoeing or horse riding trips. The island boasts with a great variety of beaches. For a peaceful day head to Vlyhada with its naturally sculpted pumis boulders. In the mood for stylish & trendy? We have that covered too! From soaring Red Lava Cliffs to the utterly charming bay of Ammoudi, you will be spoilt for choice. Allow us to suggest and reserve a table at our favourite restaurants. From Mediterranean fusion cuisine, to simple family run taverns, there is something for everyone. Go sailing in the world-famous Caldera. There are several options ranging from wooden boats with several guests on board, to motor yachts, semi-private & private sailing catamarans. Allow us to arrange a day trip or sunset cruise along with a captain who will steer you to secluded bays, hot springs and neighbouring islets. 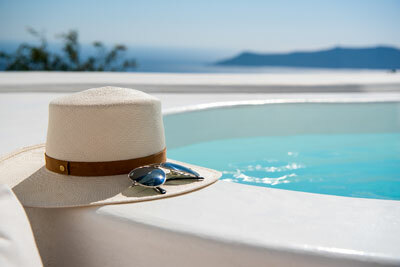 Explore the Ancient Sites of the Island.Visit Ancient Thira on the hilltop just above the beach of Kamari. A great view and ancient wonders awaits you. Visit the famous archaeological dig at Akrotiri. Thick layers of volcanic deposits from the eruption nearly 3500 years ago preserve an entire village and the frescoes on display are in excellent condition. The origin of Santorini’s wine culture dates back to ancient times, with the island growing some of the oldest vines on the continent. 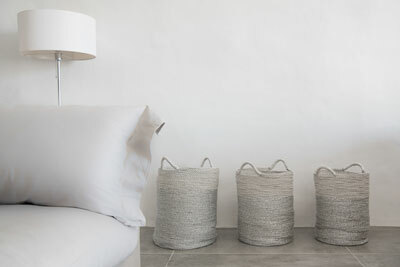 Discover Assyrtiko for which the island wine makers are renowned, and discover why they grow the vines in a basket shape. Wine lovers unite! 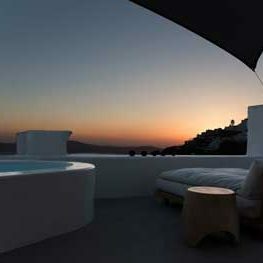 Magnificent sunsets, thousands of memorable moments, blue skies like no other, the history all this and so much more describes Santorini. 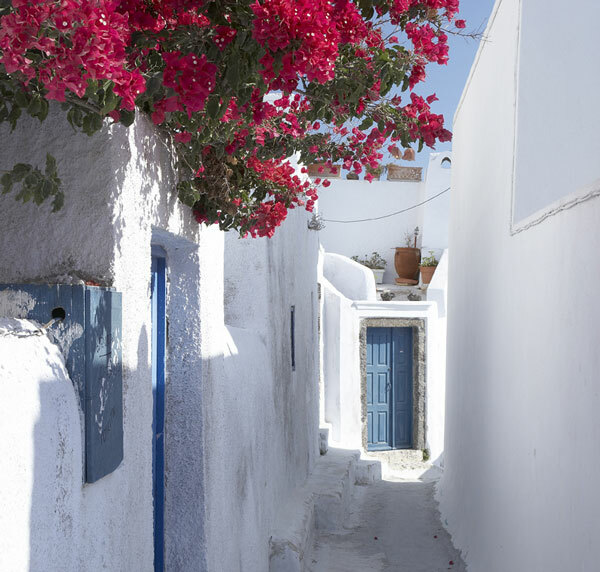 The island forms part of the Cyclades, the classic image of the Greek Islands – brilliant white buildings, offset by bright blue church domes, all bathed in an incredible light, fringed by beautiful beaches lapped by the Aegean Sea. Here is how to get here. 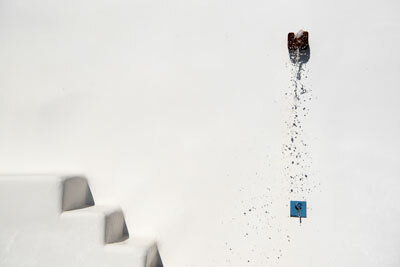 From May until October many charter airlines fly directly to Santorini airport from many European destination. The flight duration from Athens to Santorini is about 30 minutes, with airlines such as Aegean Air, Olympic Air & Sky Express offering regular flights. Rent a car, take a taxi or allow to arrange airport transfer. It is Greece’s busiest airport and it serves as the hub and main base of international and Greek airlines. From Athens you can either take a connecting flight directly to Santorini airport or travel via ferry from the port of Piraeus or Rafina. 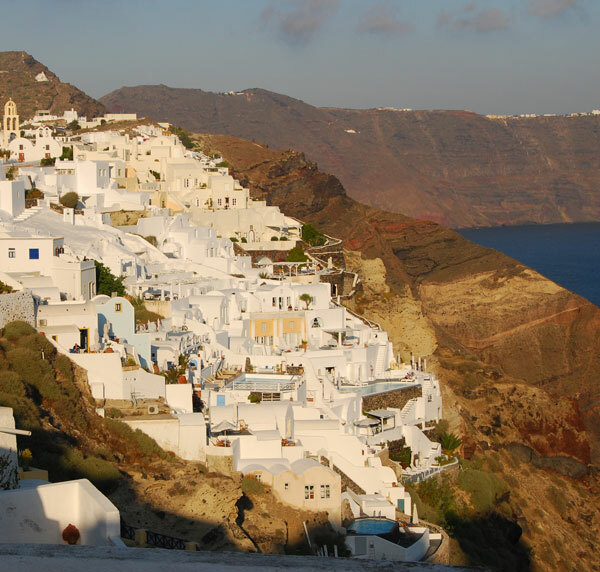 You can easily and comfortably travel by ferry from Piraeus, Rafina and the surrounding islands to Santorini. The trip from Piraeus to Santorini lasts about 9 hours by ferry and about 4-5 hours by high speed ferry. The port of Santorini is known as Athniou, which is situated 12 kilometres from Fira.